Home Entertainment What’s the Latest News of Park Bo-gum? Let’s Find Out! Have you guys watched all the dramas that aired on 2018? Many interesting dramas aired filling up the 2018 drama list but it will seem like it’s incomplete without the presence of the iconic actor that played as Choi Taek in Reply 1988. Do you guys remember the smart and innocent baduk player, Choi Taek? (If you haven’t watched this, we recommend you watch this drama now!) Choi Taek was played by Park Bo-gum, a young talented actor who was born on June 16th, 1993. Park Bo-gum is a very famous actor in South Korea. He made his debut through a drama titled Hero where he played the character of Kang Dong-woo. 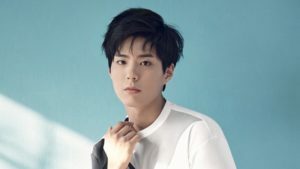 His career kept rising up, especially with him playing as Choi Taek in Reply 1988, along with Girl’s Day Hye-ri, Ryu Jun-yeol, Go Kyung-pyo, and Lee Dong-hwi. Not stopping with this big hit drama, Park Bo-gum tries another role in another big hit drama titled Love in the Moonlight, a historical drama where he played as the main role, Yi Yeong, with his partner Kim Yoo-jung. It’s been quite a long time since we last saw him on the screen – what is he up to now? Park Bo-gum’s fans, you can wipe away your sadness because he is currently filming a new drama! The drama he will be playing in is titled Encountered (originally Boyfriend/남자친구 in Korea) and what’s interesting is, he will be playing alongside senior actress Song Hye-kyo! Don’t mean to give spoilers but this drama will be telling the story of the love that sparked between Cha Soo-hyun (Song Hye-kyo), who is a daughter of a very famous politician and an ex-wife of a rich heir, and Kim Jin-hyuk (Park Bo-gum) who is stated to be innocent. 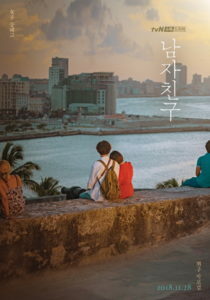 Encountered has been scheduled to air in the second half of this year, November 28th, 2018, on TvN. There is no further news about the actor’s latest activities, but media has stated that all the cast of this drama have gathered for script-reading and everything’s in progress so sit tight and stay tuned! Want to Know The Latest News on Lee Min-ho’s Life?